Kenney's book is disguised as literary criticism, but she tells us straightforwardly in the preface that her real motivation for writing is genuine, armchair enjoyment of Sayers' work. Having read and loved the poetry, plays and novels penned by Sayers in the early part of this century, Kenny organizes her book around what she believes to be Sayers' three key accomplishments in modern letters and culture: First, Sayers legitimized the detective story by giving it a conscience. Second, she accurately critiqued the situation of women in modernity. Third, she was a compelling interpreter of Christianity. 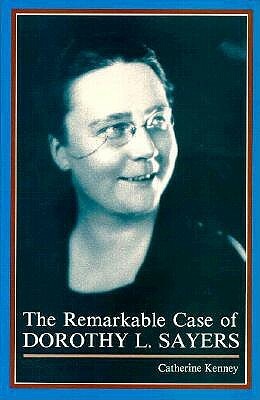 The Remarkable Case is not a biography, but an assessment of these accomplishments, which explain exactly why Sayers is, after all this time, continually named as a favorite author by countless readers. The book has an obvious appeal for those who already admire the work of Dorothy L. Sayers. But Kenney hopes to pass on to those yet unfamiliar, 'the excitement and sense of wonder I felt when I first encountered this remarkable writer.' 309 pp.